“Looking back at the bridge that connects history to present, one can see that when Facebook took its baby steps towards success Orkut was a big name, but today, Facebook excels while Orkut doesn’t even exist,” says Mr. Prashanth. 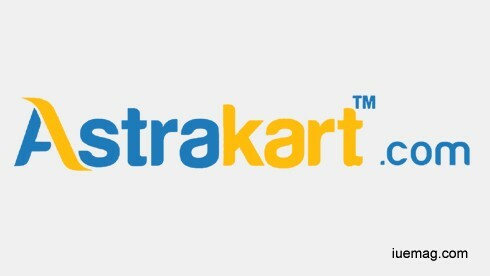 The above fact mentioned by Prashanth works as the driving force for him and his team at Astrakart which is the next generation shopping site initiated with an aim to provide unique products across various categories through online platform. It’s an E-commerce venture which is going to be the next big name in the competing world of e-commerce alongside big players like Flipkart and Amazon. As observed many times there are always loop holes which big companies try to ignore in their services which lead to a number of complaints from the customers. Astrakart tries to excel and come up with the best solutions and innovations to remove those loop holes. They are a team of young leaders who are going to change the pace of online shopping and become a pioneer in the E-commerce field in the coming years. “We are the very first generation which has the access to online shopping for various things and we have this opportunity to make it big for the generations to come,” confides Mr. Prashanth. According to market analysis, there are many e-commerce sites that come up every day and don’t last for more than 18 months, which is the outcome of their skipping the learning process. Coming up with a startup without knowing about that field has a sure chance to drown. When it comes to Astrakart, the team has a process of three months in understanding the field from the outer surface to the core. “We have a team comprising of hardworking leaders who are extremely young ranging from 18 to 25 years of age who have understood the vision and thrown away the difference between their personal and professional lives,” he says with a smile. Astrakart is an independent unit of Arvind ExIm Inc., which is one of the businesses promoted by Mr. Arvind Wali. Arvind started his venture in 1989 by introducing the first Maxi Cab operation in Bidar. Shakuntala Travels, a renowned company in Bidar that operates buses between Bidar-Bangalore-Bidar and Gulbarga-Bangalore-Gulbarga, is the brainchild of Mr. Arvind. His entrepreneurial journey includes family-run businesses in Travel, Telecom, Real Estate, Media & Entertainment, Energy & Petroleum etc., all operating under Wali Group. He is also the Managing Editor of ‘Uttara Karnataka’, a leading Kannada daily in Karnataka. Any facts, figures or references stated here are made by the author & don't reflect the endorsement of iU at all times unless otherwise drafted by official staff at iU. This article was first published here on 11th April 2015.